It all started from Baros, a place located in Cimahi, West Java, Indonesia. A lot of animation enthusiasts had been visiting this place since Cimahi Creative Association (CCA) was established in 2009 as an organization concerning the Development of Digital content industry in Indonesia. Coming out in 2013, Baros International Animation Festival (BIAF) was first held in 2013 as one of the steps to expand the Indonesian insights, knowledge and strengthening the networking with aimation stakeholders around the world. 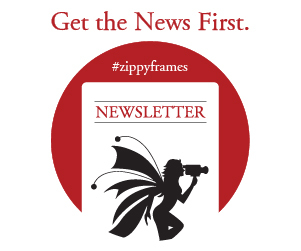 Zippy Frames correspondent Peter Schavemaker talked to Gerryadi Agusta Sachanity, assistant director of the festival, which celebrates its 4th edition in November. PS: Are you involved in the Baros International Animation Festival (BIAF) since its first edition in 2013? GA: Yes, I am. I have seen it grown from a small start to reach the world in 2013. It is not easy for Cimahi with only 3,000 people visiting and having only three foreign countries involved, and luckily we 've got supported from Walt Disney Singapore for the competition. During the second edition we had six countries participating and full support of Cimahi government, and also received support of the government in Jakarta. Last year, during the third edition the festival was attended by more than 9000 visitors and more than 25 speakers from 11 countries, agian also with the great support from Cimahi Government and National government like Ministry of Trade, BEKRAF, BPPT, Ministry of Industries etc. Plus our sponsor from one of the biggest social corporation in Indonesia Djarum Foundation. The 2016 edition of BIAF will have more than 10 countries participating (Thailand, Poland, Singapore, USA, France, Malaysia, South Korea, India, Japan and The Netherlands) and we expect more than 9000 people. With the support from the local and national government, and the Djarum Foundation. The goal of our director Mr. Ronnie Rubiana is to become the bridge for artists around the world. Hopefully BIAF 2016 will become the market place for creators and buyers, not only for Indonesian animation but also for foreign companies or artists. For Indonesian artist BIAF could become a showcase for promotion Indonesian animation and culture. GA: Cimahi Creative Association started in 2009, initiated by the Cimahi goverment because the city became independent from Bandung. There are only about 600,000 people living in Cimahi. The city had no natural resources. At the time the mayor came with the idea to work on a creative hub, to push and create the human resources for the creative industry , Yes, you may compare it with the idea behind Silicon Valley. The main focus of CCA is to honor the Indonesian animation industry. PS: Cimahi is the most creative area in Indonesia? GA: Yes Cimahi is one of them. In 2012 the Indonesian goverment appointed Cimahi as city to become the centre of animation development and industry. PS: Why is the creative area not located in the capital Jakarta? GA: Some of the cities in Indonesia are considered as creative cities, every city has their own part of the creative industries. The national goverment appointed Cimahi to focus on animation development. As per initiative of our President Mr. Joko Widodo the creative industry all comes together in Technoparks located in many cities in Indonesia, one of them is Cimahi Technopark. It is focusing boosting the animation industry in Indonesia. Many creative businesses are located. On January 26, 2015 Mr. Triawan Munaf was appointed by Indonesian President Joko Widodo as head of BEKRAF or Creative Economy Agency. This is a non-ministral government agency supporting the creative industry fo 16 sub sectors like film, music, dance, fashion, gaming, video and animation. PS: Previously the Indonesian animation was only made for the domestic market, since a while the country is co-producing and working with other countries, like South Korea. The government also reached out towards animation industry in the USA. I read Mr. Triawan Munaf visited Disney/Pixar twice and received good reactions. GA: Yes, the government now has its own department and ministry BEKRAF or Creative Economy Agency for animation and film. Right now animation and film has their highest concern. Indonesian animation has a high potential. PS: During BIAF 2016 the forum 'Potensi Bisnis Animasi di Indonesia' will be held, which is about the potential about the Indonesian animation. Which conclusion you hope will be taken at the end? GA: It will be a discussion between Indonesian animation studios and government about the questions what the animation can contribute to the industry, and how the industry can help each other regarding IPs and projects. PS: BIAF 2016 will also have a Student Short Animation competition, with a total prize amount of 30 million IDR (about EURO 210,000). GA: The Student Competition will have three catergories; best film, best picture and best story. It is very important for BIAF 2016, because it will inspire young people who will come to Cimahi – from all over Indonesia – to receive an internship and learn about the animation industry. We will see many new ideas with potential to grow to large IPs during the competition. I am from Bandung and have chosen to stay in Cimahi because the government is investing seriously in Cihmahi as animation centre. Recently many of these young and professional animators organized a road trip (by bus) accross cities on Java. It was called 'Road to BIAF, from Baros to Kudus'. The participants visited schools and small animation studios to meet and talk about animation. PS: You are also creative director of GRU Pictures, a start up company. Can you tell us about the company? GA: We are currently focusing on animation, film and advertising. GRU Pictures is co-working with a company in Thailand. At the moment we do service work and do not have an own animation IP yet. Having an own IP is a great wish. The fourth edition of the Baros International Animation Festival 2016 will be held in Cimahi, West Java, Indonesia, 17-20 November 2016.